Have you ever had a bite of chocolate and felt instantly blissful and relaxed as though everything is right in the world? Well scientists believe that feeling may be due to anandamide - a molecule found naturally in our bodies, but also in chocolate and CBD. Anandamide is described from the Sanskrit word “ananda”, which translates to “bliss, joy and delight” because of the actions it is believed to have on our mood. Anandamide is a neurotransmitter, a molecule that helps in the signalling through our brain and nervous system, and also an endocannabinoid, which is a compound produced in the body that binds to cannabinoid (CB1 and CB2) receptors in the brain and throughout the body that form our endocannabinoid system. The endocannabinoid system plays an important role in the maintenance of many physiological and psychological processes throughout our central and peripheral nervous system, the former being responsible for mood and the latter our immune system and homeostasis. In fact, anandamide is mostly linked to our CB1 and our central nervous system, impacting our state of mind and mental well-being. Anandamide is naturally produced by the body, but quickly broken down by an enzyme known as fatty acid amide hydrolase (FAAH). Thankfully, besides the 300 other biochemicals in chocolate such as caffeine, theobromine, phenylethylamine, chocolate also contains anandamide and while anandamide, like other neurotransmitters decompose quickly in the body, chocolate contains compounds that slow this process by inhibiting the action of FAAH. Another food source high in anandamide is black truffles. And interestingly, foods like black pepper (which is also found in our Bliss Bars), apples, blackberries, broccoli, brussel sprouts, cucumbers, endive, green beans, lettuce and green tea have the antioxidant kaempferol which can increase the amount of anandamide. However, chocolate is probably the most (some would argue) delicious way to ingest this exciting ‘bliss’ molecule! We couldn’t be more proud to say that the turmeric going into each and every Wunder product is derived from the fertile soil of the Kandy Mountains in Sri Lanka. What are the benefits of fertile soil you ask? Fertile soil will contain all the major nutrients needed for basic plant nutrition (e.g., nitrogen, phosphorus, and potassium), as well as other nutrients needed in smaller quantities (e.g., calcium, magnesium, zinc, copper). Usually a fertile soil will also have some organic matter that improves soil structure, soil moisture retention, and also nutrient retention. That’s why you’ll never get anything less than the best organic turmeric from us, packed full of everything it should have— no nasties sight. It’s more important than ever that farming practises are carried out in an environmentally sustainable way, and so we use the ancient practice of forest gardening. Forest gardening offers a low-maintenance sustainable method of plant-based food production, and is an agroforestry system based on woodland ecosystems. It incorporates surrounding fruit and nut trees, shrubs, herbs, vines and perennial vegetables that too can be harvested by humans. We choose to opt for this method rather than mono-culture farming typically used in the UK, where most of the temperate forest was lost a long time ago – cleared for monocultures of grain crops, grazing or felled for building ships and housing. One of the biggest issues with agri-businesses using monoculture systems is that they are heavily oil and chemical dependent and are slowly eroding and polluting our soils and water courses. Forest gardening on the other hand creates a multi-layered and sustainable garden, allowing for the maintenance of soil fertility, and produces nutrient-rich and diverse foods. The sun has finally come out to play and there’s something in the air signaling that Spring is already on its way. The shift out of Winter into the warmer months can be tough — we’ve spent months hibernating and getting cosy, so it’s no surprise that peeling back the layers can prove to be a shock to the system. We’ve put together some of our favourite‘spring cleaning’ rituals for body and mind that will have you ready for the new season feeling your most glowy, golden self. Our Golden Glow blend contains the potent Siberian Ginseng, a season-shifting staple if there ever was one. Traditional Chinese Medicine recognisesthat the change in season in both Autumn and Spring can put a lot of pressure on our immune system, leaving us cold and flu ridden. Take a trip to an infrared sauna for amind + body boost — not only will it increase circulation, it will also help to eliminate any stagnant energy and toxic buildup from the Winter. Take our word for it, one trip and you’ll leave with a Spring in your step and wonderfully soft skin too. 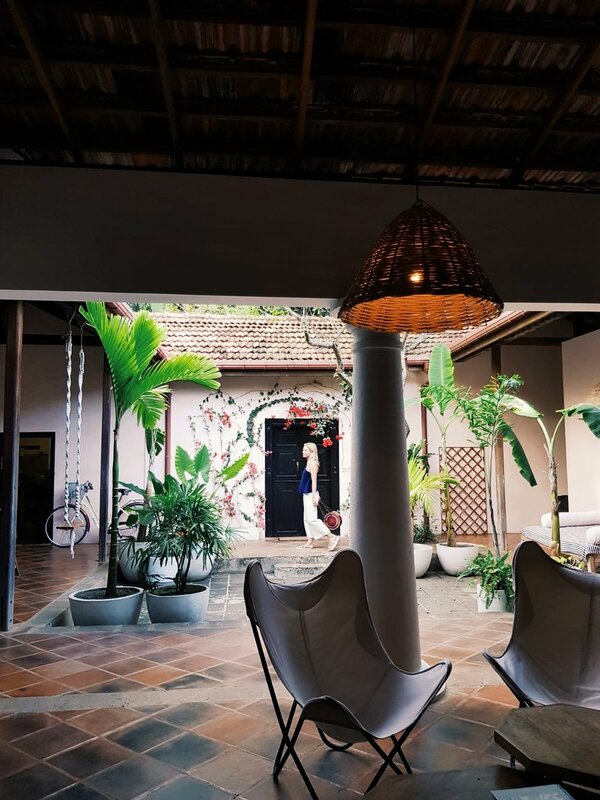 As you may know by now, we started Wunder Workshop inspired by our many visits to Sri Lanka. Since 2014, we have been working directly with the same community of farms and we make sure to visit them yearly. On our latest trip, we found an additional family led farm also using the most sustainable forest gardening techniques. Here we share a few images from our latest trip. We pride ourselves on working with community and family led farms. We also avoid large mono-cultural agriculture, as this leads to soil nutrient depletion. Maintaining the natural diversity of flora on the farm benefits the quality of the soil, making produce more nutritious and consistent through turbulent weather patterns. This is why we believe our soil is one of the most important things to keep in tact for the us and world to stay healthy. This is Mr Viduranga, who has lived here all his life and inherited the house and land from his father, who inherited it from his father. He grows turmeric, lemongrass, ginger and has a couple of jack fruit trees giving shade to the other plants. We purchased 500kg of organic turmeric from his 2019 produce, so for our next batch of pure organic turmeric jars you will be tasting this beautiful single origin turmeric powder, naturally high in curcuminoids. As an organic brand we love learning about the innovative, natural ways to keep agricultural pests at bay. Mr Viduranga plants Marigold flowers around the crops in order to keeps insects away. The true magic of nature takes this one step further, as when the marigold flower blooms he knows that the roots are ready for harvesting. The black tea in our delicious Turmeric Chai comes from high up in the lush, organic green hills of Haputale. It is always so lovely to meet the women that pluck the tea, a job that requires very petite fingers and attention to detail. Co-founder Tom had a go, but quickly learned how difficult it is to pick the best leaves. 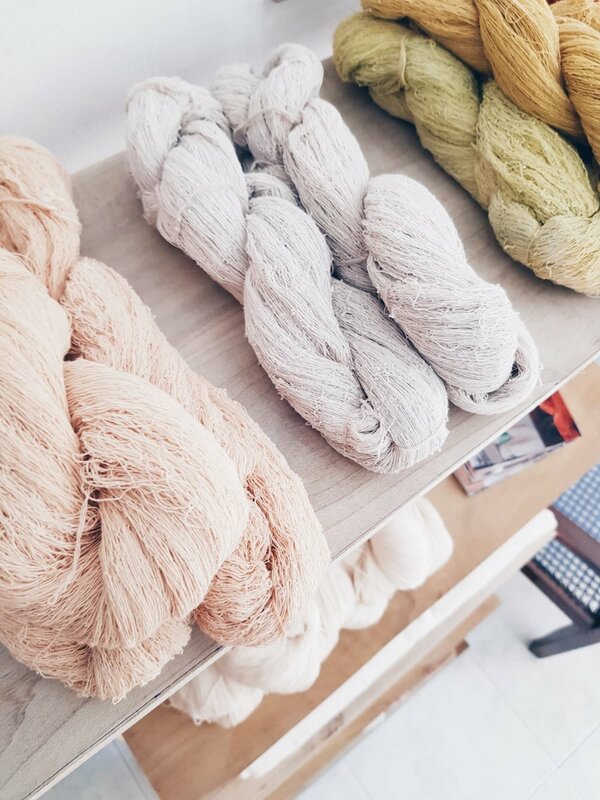 We were so excited to finally meet the women behind Amma, the social enterprise that trains and employs mothers living in the Sri Lankan highlands to turn food waste and plants into natural dyes creating sustainable textiles, ethically handmade. Amma is run by the lovely Josie, who we have been collaborating with for the last 1.5 years. They make our not-for-profit avocado waste dyed aprons, and the lovely bright turmeric waste dyed pouches that we pack our Turmeric CBD oils in. 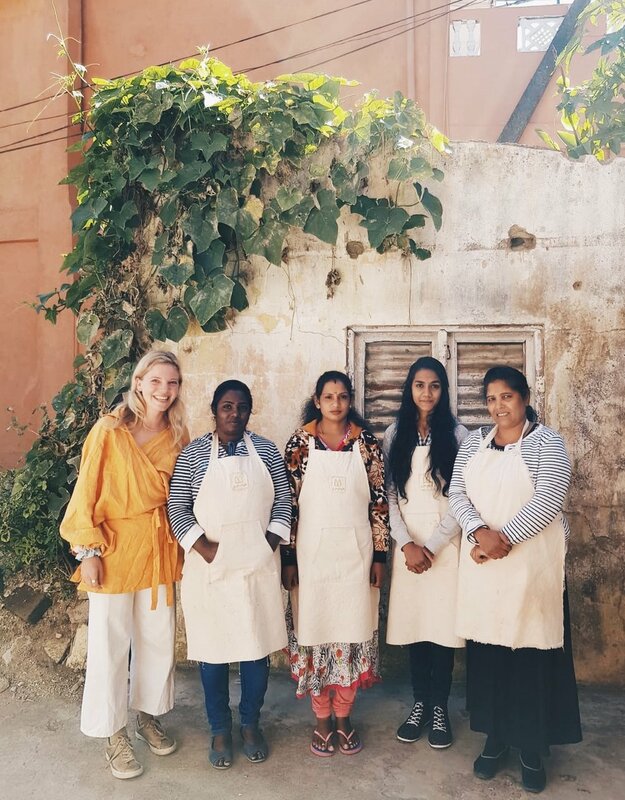 We are so grateful that the sale of our avocado aprons over Christmas 2018 meant that they were able to purchase two new sewing machines, enabling them to work on more projects. At the end of our trip we visited Sen Wellness, a beautiful Ayurvedic retreat that is simply magical. This tranquil space is surrounded by untouched nature and wildlife. Each day starts with morning sunrise yoga on an empty beach, followed by traditional Ayurvedic treatments supported by wonderful staff. Even with all of this, the highlight was the freshly prepared traditional food that was bursting with flavour and nutrients. 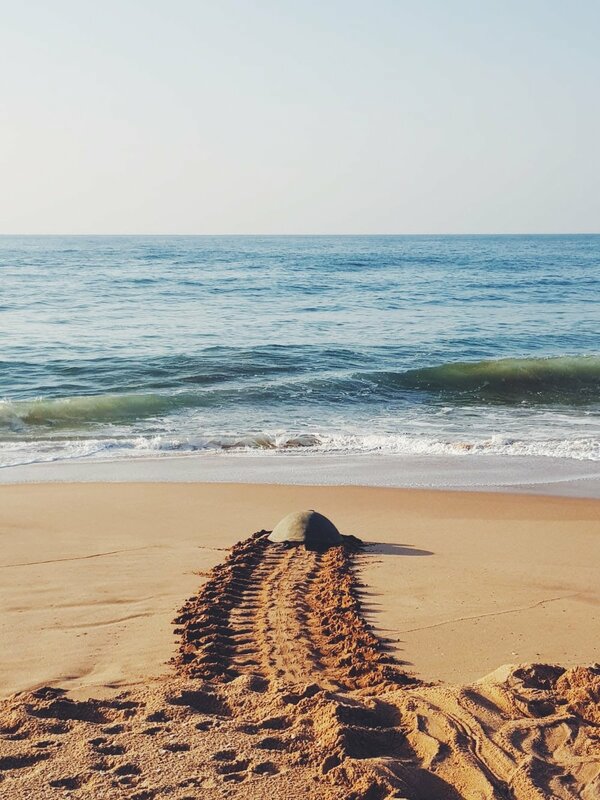 We often get asked what Ayurvedic retreat we recommend in Sri Lanka, and we can confidently say that Sen Wellness ticks all the boxes. Last, but certainly not least, we visited our friends Phoebe and Seddy at their beautiful bed and breakfast - The Kip. A gorgeous space tucked away from the hustle and bustle of the South coast. Wake up to tropical bird sounds, monkeys, whilst sipping on a fresh papaya juice and enjoying the colourful vegan friendly food. Meet Zoe-Maia Jarchevska, founder of Maia Well Co. — a hub for all things holistic wellness, Pilates and mindful movement. Zoe’s journey into wellness is inspiring, as is her gentle and self-loving approach to taking care of body and mind. Today she shares how she remains balanced in amongst the hustle and bustle of an on-the-go London life. - Tell us a little about your story. MAIA well co. launched in March 2018 and evolved through a journey of self-discovery and a personal interest in all things health and wellbeing. After studying Psychology at university, I began working in office based jobs, first in magazines and then moved onto beauty product development, creating product ranges for luxury brands. With these jobs came wonderful experiences and invaluable lessons in so many areas of business and in life generally, however they also brought about some negative personal experiences as well. The ‘always on, go go go’ mindset led to me becoming burnt out, in and out of doctors appointments, unaware that the symptoms I was experiencing were in fact a cause of stress and anxiety manifesting itself in ways I would have never imagined. Through what felt like endless months of going to hospital appointments without finding any answers, I began my own journey of self-discovery; reading, researching and really investing the time and energy into looking after myself, using a holistic approach. I decided to take a step back and promised to be kinder to myself, looking after my mind and my body as one. I put more time and energy towards becoming more in tune with myself, slowing things down, switching HIIT for kind movement such as Pilates that I actually enjoyed, and it was truly life changing. In all my spare time at work, I’d be studying, reading and brainstorming about how I could turn these learnings and passions of mine into my career. Whilst working full time, I trained as a Holistic Health Coach and Pilates instructor, investing any spare evening, weekend and lunch break to practice, learn and read everything I possibly could. I began to think, if I could use my own learnings to help others in a similar position, that would be the rewarding sort of work that I knew wholeheartedly would make me deeply happy. I really believe that the time I took to take care for myself is what allowed me to create my dream life, by changes to my lifestyle, investing more time towards rest and trying to only say yes to the things I truly love. For me, self care is doing things like cooking more on Sundays so I’m prepared with healthy nourishing food for the week ahead, practising some gentle movement in my PJ’s by the fire on a lazy weekend at home, or simple things like having a hot bubble bath with my favourite candle and book in hand. To me, self-care isn’t an occasional thing that I ‘do’ intentionally, its just become part of my life as a way of taking care of both my mind and body as one. - What keeps you feeling balanced on the daily? To me, sleep is essential. Without a decent nights sleep, my brain feels foggy, my appetite is thrown off and my emotions are a little wobbly! Starting off the day with a healthy and satisfying breakfast keeps me balanced as well - I’m one of those people that just cannot function on an empty tummy and definitely experiences hanger! Making some time for the simple things I love, whether that’s going to a class in between clients or having a cosy evening catch up with my fiancé over a delicious dinner at home are all ways that make me feel happy and balanced. Honestly, being fortunate enough to do work that I love on a daily basis is the most rewarding of all. Going to sleep on a Sunday, looking forward to the week ahead as opposed to going to sleep with fear and anxiety which is what I used to experience on a weekly basis, is what I’ve always dreamt of and lights me up every Monday morning for the week ahead. But most importantly of all, making a difference to my clients lives and seeing them become so much healthier and happier - there really is nothing more rewarding than doing what you love and improving peoples lives whilst you’re at it. So many! But being a perfectionist myself, I do love reminding myself of the quote “Progress, not perfection.” It reminds me that everything is a process and its all about the journey and the progress you make along the way, rather than getting to that final ‘perfect’ end result which lets be honest, might not ever exist! For me, especially with work where I’m often on-the-go, being organised is the key for me to keep myself nourished with all the right foods and foods that I love. So weekly food shops are a must, cooking in bulk on Sundays and also I’ve recently started getting an organic fruit and vegetable box from Riverford which is not only delicious, but it helps to eat more seasonally (and more plastic free than supermarkets). It also encourages me to try out different recipes whilst eating a rainbow of vitamins and minerals which I may not find from the usual fruits and vegetables in the local supermarket. To me, nourishment is also nourishing my body with movement. Years ago, I would have ignored this and it would have been HIIT class after HIIT class. But now, I listen to my body - if its been a busy day or its that time of the month, I might practice some gentle Pilates and even a little stretching at home in my living room. A long hot bath with some calming oils, pink Himalayan bath salts (By Sarah have some gorgeous bath salts), candles burning (Ardere’s calming ‘Reethi’ candle scent is heavenly) and some nice relaxing music on in the background is my absolute favourite way to wind down. Or sometimes making a homemade face mask, getting into bed early and reading a good book - the simple things make me happiest. Oooh this is a tricky one but I think it would be be Olive Oil, Oat Milk and Berries. Of course! I definitely have a sweet tooth. My favourites are gooey banana bread drizzled with some almond butter or a rhubarb crumble (with extra crumble on top). 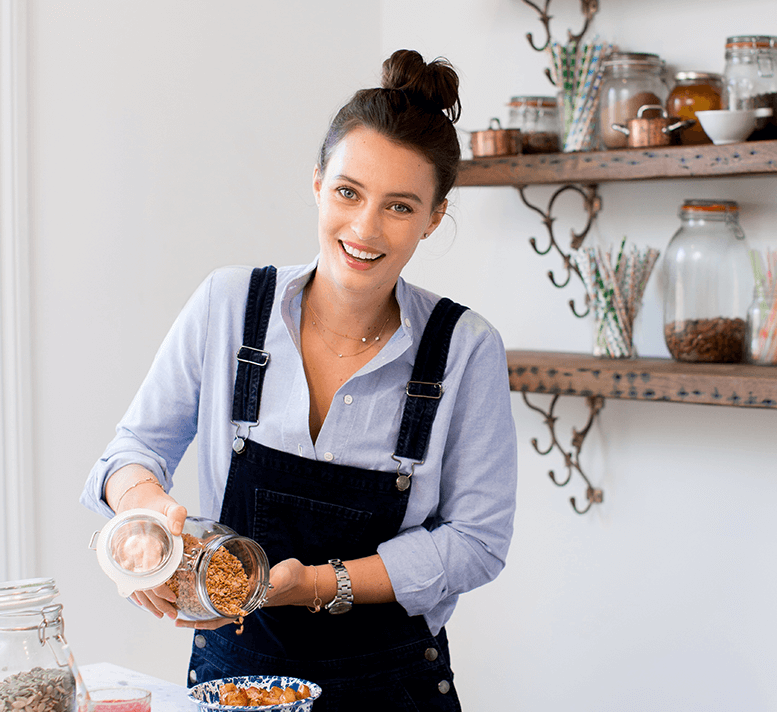 Having inspired so many to adopt a more plant-powered way of living, it’s safe to say that Ella Mills, founder of Deliciously Ella, has well and truly succeeded at making veggies cool. We caught up with the golden girl of wellness on how she keeps grounded while running a non-stop business, and her favourite ways to stay nourished from the inside out all year long. My life now was all an accident really. I got very unwell in 2011 when I was at university with a condition called Postural Tachycardia Syndrome. The condition affected the functioning of my autonomic nervous system – I struggled to control my heart rate and blood pressure, as well as having digestive issues, chronic fatigue, a host of infections and a selection of other symptoms. I spent a few months in and out of hospital, followed by months and months in bed taking a host of medication, which sadly didn’t work. I hit a real rock bottom, both mentally and physically, about a year later and started to look at other avenues to explore. I became interested in the power of diet and lifestyle and began experimenting with plant-based cooking and really fell in love with veggies. As I started cooking and discovering plant-based cooking I shared my creations on a blog initially, deliciouslyella.com. Somehow that took off, it grew organically but quickly, and transitioned to social media, then an app, then four books, then a deli in London and now four ranges of food products in about 6,000 stores across the country. It’s been quite a whirlwind and every day I become more passionate about what we do. Honestly, I think it’s so key, there have been times where I’ve let it fall by the wayside and it’s amazing how not looking after yourself impacts negatively on everything. Yoga is my day to day go-to, I practice every day at 7am before work and I just love it. An hour of breathing, moving, stretching and opening up does wonders for my physical and mental health. Other than that it’s trying to fit things in where I can, making some delicious to eat, having a bath before bed, walking our dog between meetings or listening to a great podcast on the tube. Yoga really helps, I’ve never found anything that makes me feel more balanced. I’m so lucky to have my husband too, he’s incredible and just being at home with him, making dinner and watching a great series makes me feel so grounded. Our community, that’s always the highlight of Deliciously Ella. Our readers have always been the heartbeat of what we do and knowing that we’re able to support them in some way is just the best. We started a podcast a few months ago and that’s been my favourite way to connect, we can really delve deep into great topics and hopefully share loads of interesting information through our guests. My mum always said, you get back what you put in and I do really believe in that. The more time, love, energy and passion you put into each moment of the day the richer and fuller it’s going to be. I try! Some days it’s easier than others and it’s key not to be too hard on yourself, no two days are the same and that’s ok. I focus on quick, easy things like our instant bircher muesli with almond butter and dried apricots for a two-minute breakfast and love speedy smoothies too when things are super busy. Reading, baths, calming music, a great series, a dog walk, yoga class and time with friends and family. Herbs and spices, I think they make such a big difference when you’re cooking – cumin, turmeric, cayenne pepper, mustard seeds, paprika, ground coriander, cinnamon, ginger and chilli flakes are my faves. Also need great oils and condiments – sesame oil, tamari, miso, apple cider vinegar, olive oil, plus all the nut butters and tahini. What better way to celebrate Veganuary than by catching up with Alex Petrides, co-founder of Allplants, a chef-made range of vegan ready meals bursting with nothing but plant-powered goodness. Today he shares how he discovered his own version of self-care and utilising the power of breath to stay balanced, alongside the inspiring story of how Allplants came to be. - Tell us a little about the story of Allplants. Allplants is a two-year old food start-up aiming to inspire the next billion plant-powered people. We believe food is the bridge between people and planet, so put social impact first, while serving the world delicious, plant-based food, tips and tools. It all started 3 years ago. After shifting to a plant-based diet, my brother and I hatched a plan to make veggies the star of our planet’s plate. Switching to a plant-based diet is the most impactful way to reduce your personal environmental footprint and with only ¼ of Brits getting their 5-a-day, we became fixated on helping people and planet thrive. To begin, my brother and I realised we could make it delicious and easy for everyone to eat more plants by delivering chef-cooked meals (originally by foot, bus or uber, now by courier!) to your home. Today, our kitchen is preparing 12,000 meals each week. Our chefs are brilliant and all our dishes are totally vegan, nutritionally balanced and ready to eat from your freezer. It’s healthy, comfort food - think luscious Lasagnes, Rigatoni Bolognese, Bhaji Daal, and Cashew Mac. I was notoriously bad at self-care, but over the past 2 years have been introducing more and more self-care habits to my daily routine. Sleep, exercise, food choices, alone time, connection time, time with nature, stretching, writing lists, moisturizing, booking treatments or massages as frequently as my pocket can afford. They’re all in fine balance and crucial to keeping me well-oiled, happy and able to be at my best. The simplest, but most commonly forgotten, way this impacts my day to day, is to try always reconnecting with my breath when I realise it isn’t my core point of focus. A lot of what I do can be done better when following my intuition rather than falling down the rabbit-hole of overthinking. Anchoring each activity around breathing keeps me aware that I’m human and allows me to absorb all the subtleties of my intuitive thought. I mostly eat intuitively and much like most allplants customers, I don’t plan my food choices very far in advance. I’m also 99.9% plant-based. I leave the 0.1% there so I don’t see it as a failure if life gets in the way of my intention to be totally vegan. Yoga is my #1. Other than that, almost every evening, I light up (a lot) of candles and cuddle up on the sofa with my wife and crazy little puppy. Chocolate in any and every which way.